The way you feel after a workout can sometimes vary, especially from person to person. One of the first things that many gym goers notice is that they will feel sore after some exercises, but not after others. “I don’t feel sore after working out” is one of the most common things that some people say, and usually in a surprise tone that suggests they were expecting otherwise. However, the truth is that when it comes to muscle soreness, how sore your muscles are usually won’t indicate the quality of the workout. Understanding why your muscles are sore after a workout, however, can be a good way to focus more on your regimen. The concerns that people have are understandable. Many believe that the indication of a good workout is the fact that their muscles are sore. They think that if their bodies aren’t aching by the end of the workout session, then they may have wasted their time working out. 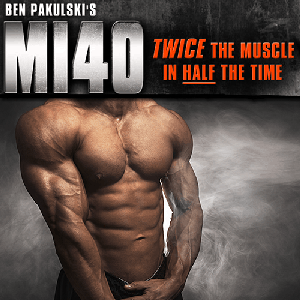 Many wonder if the lack of soreness implies that they didn’t increase their muscle mass or strength. Other times, people may have questions related to specific workouts. Some people only feel sore after certain workouts, but not others. Does this mean that some workouts were less effective than others? What does it mean for the final results of the session itself? Simply put, muscle soreness is not a good indicator of the quality of the workout. 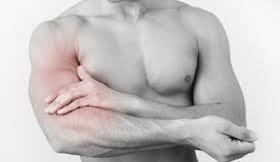 Sore muscles the day after you exercise does not always mean that you have a productive or effective session. 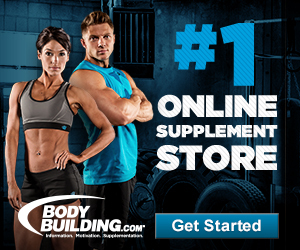 It does not mean that you built your strength in any particularly profound way or lost additional fat that day, or whatever other misconceptions people may have about the workout. On the other hand, it is also true that not being sore does not convey that the workout went poorly. It does not mean that your exercising was bad that day, or useless, or ineffective. It does not mean that you are failing to get the results that you want, so you should not be discouraged if you do not feel incredibly sore after your workout. Already, a lot of people might be surprised. If soreness does not indicate anything about the results of the workout, why do people get sore after they exercise? What does the soreness mean, then? Why is it easier to get sore after some sessions, but then not after others? In the most basic sense, muscle soreness is something that only occurs when your muscles are doing something that they are not used to. This means that the likeliest periods of time where you will feel your muscles hurt is when you are just starting to exercise. All people will almost always feel some type of soreness and pain when they exercise after a long period of inactivity, or if they are doing something different in their routine that they have not done before. Usually, there are two major changes in the workout itself, the first change and the future ones. The first time that people begin to notice that their muscles hurt after a huge workout is when they start exercising in the first place. At this period, many people will remember the tremendous soreness that they feel after they get started with a new routine. The soreness in these situations is often much more intense than in other ones, to the point where some people felt as though they could not move. Slowly, however, as your body becomes more and more used to the exercise and the work that you are putting on, it will begin to experience less and less general muscle soreness over time. It will always eventually reach a point where you are not sore anymore at all. This does not mean that your workout was not effective, just that your body is getting better at adapting to the stress of your exercise routine. While this answers a few questions, it still leaves others open. Why are you sore again now instead of the last few times? Muscles generate that sore sensation when they have to perform work that they are not used to doing. This means that when you perform the same type of exercise for a week, but then suddenly decide to switch it up this week, chances are that you will be a little bit sore the day after. 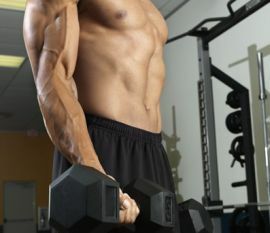 People doing bench presses will feel the heat after they perform incline dumbbell flyes. It has nothing to do with the fact that the workout may have been more or less effective. The only reason that you feel sore after your workouts is because you changed something in your routine, which caused the muscle soreness. While many instances of soreness result from general changes in your exercise routine, there are many things that people should also keep in mind when they work out. Sometimes you may feel sore after performing a certain type of exercise, simply because of the nature of the exercise itself. Many people have no idea how to explain it, but some exercises are just able to make people feel more sore than others. Exercises that have some type of stretching component to them will always make you a little bit more sore than exercises that do not. The muscle groups usually do not matter in such situations. Regardless of whether or not you feel sore after your exercise, one of the best and only ways to know that you are exercising effectively is to mark your progress. Watch the weight that you can lift and the reps that you can perform and make note of how you are changing your approach. Do you notice that you are getting stronger? Is fat being lost in your overall appearance? These are the only indicators of a workout that is giving you results, so try not to worry so much about how sore you feel the day after, unless it starts to inhibit the way your exercise. Hi Tom. Thank you for this information! I had always beat myself up after a work out if I didn’t feel the expected sore muscles the next day. I have always followed the “no pain, no gain” philosophy, and your article has me thinking that I have been too hard on myself. Thank you again for the article!